David Byrne and St Vincent, Franz Ferdinand and Ocean Colour Scene are also on the lineup. Plus, more ticket details. 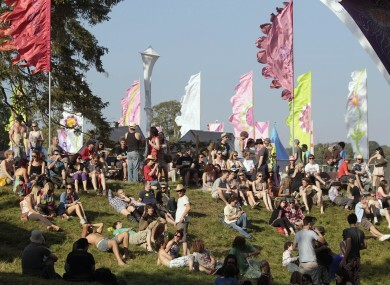 Let's hope the weather gods shine upon Stradbally this year. UPDATE 7pm: My Bloody Valentine, The Knife, Wu-Tang Clan and Black Uhuru have also been added to the line-up. BJORK, ARCTIC Monkeys and Fatboy Slim have all been confirmed on the lineup for Electric Picnic 2013. David Byrne and St Vincent, Noah and the Whale, Eels, Ocean Colour Scene, Clinic and Franz Ferdinand will also be making the trip to Laois for the last weekend in August. The Stradbally event is in its tenth year and it was only confirmed last week that the festival will be going ahead after some legal wranglings. My Bloody Valentine have been strongly rumoured to be one of the headliners, but they were not mentioned during today’s announcement. It is thought that they will be added to the lineup at a later date though. There has been significant confusion surrounding discounted tickets which are due to go on sale on Saturday morning. The cheapest tickets will be made available to those who can prove they’ve been to three or more Electric Picnics, but there has been difficulty establishing how this system will work in conjunction with Ticketmaster. An email will be released to all previous customers in the near future. Also, Ticketmaster will be in a better position tomorrow once festival organisers have released all relevant information. Yesterday evening that email containing a discount code was issued to those who were in Ticketmaster’s records as having purchased tickets for Electric Picnic in the past seven years. There are plenty of ways to show proof that you have attended the Picnic over the years to name but a few ……… old wristbands, ticket stubs, official programmes, photographs which indicate different years attendance, screen shots of social media showing messages, travel receipts to festival or accommodation receipt dated…….. So contact the team at info@electricpicnic.ie for any help with your ticket purchase. A team will make the decision or request further information and email a unique purchase code to use with Ticketmaster where appropriate. Tickets go on sale on Saturday morning at 9am. Email “ Arctic Monkeys, Fatboy Slim and Bjork for Electric Picnic 2013”. Feedback on “ Arctic Monkeys, Fatboy Slim and Bjork for Electric Picnic 2013”.